In this 2007 interview, the freelance writer talks to Shelagh Rogers about growing up in Saskatchewan and eating Middle Eastern food. For Saskatchewan-based author and freelance food writer Habeeb Salloum, cooking is a family affair. 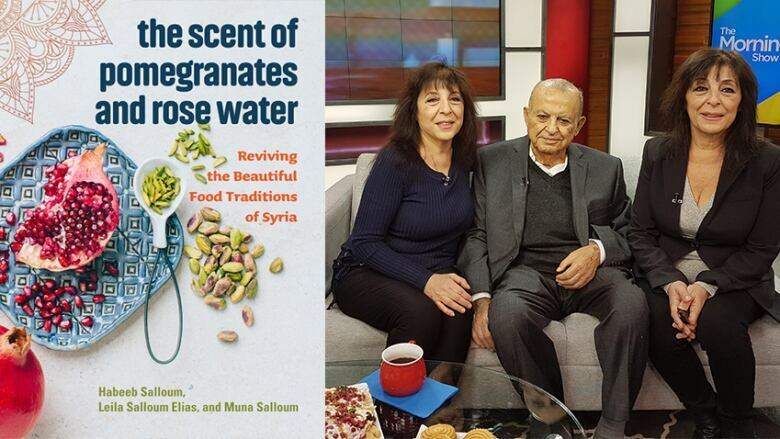 In The Scent of Pomegranates and Rose Water, he is joined by his daughters, Leila and Muna, to explore Middle Eastern recipes from 18th and 19th century Syrian kitchens. In this 2007 interview with Shelagh Rogers, Salloum delves into what makes Middle Eastern cooking so special. "Growing up on my Saskatchewan homestead we always ate bulgar, which has a lot of names and was the basic food. My mother would build on it — sometimes with meat and sometimes with rice. When people saw us eating things like lentils and chickpeas, they thought we were some strange people. But lentils are one greatest foods in the world. All the Syrians of that time grew these things because they are the only things that grew. But now Saskatchewan is one of the largest lentil exporters in the world. And that's in my lifetime." "A great dish that I always remember, which I don't do now or do very rarely, is stuffed intestines and stomach. I remember having them stuffed with rice, meat, chickpeas and spices. They were the highlight of my life at that time. I still remember the taste." Habeeb Salloum's comments have been edited and condensed.